It’s always exciting when a new brunch hotspot in London appears. A fortnight ago, I headed out for brunch at Bourne & Hollingsworth Garden Room during its launch weekend. The new rooftop restaurant and bar is located in the heart of the West End. Situated atop the Assembly Hotel, it offers panoramic views across London and a stunning interior. The interior is wonderful, with floor-to-ceiling windows, delicate wicker weaved furnishings and citrus dotted flora aplenty. Their brunch menu is wholesome and delicious, with a selection of vegetarian and vegan items to boot. Fear not meat eaters, there truly is something for everyone! So, what did I think of Bourne & Hollingsworth Garden Room? Opting for savoury over sweet, I ordered the ‘Baked green eggs, all mixed up’. This dish was bursting with flavour, embellished with fresh pesto, crunchy vegetables and baked eggs in an earthy terracotta dish. 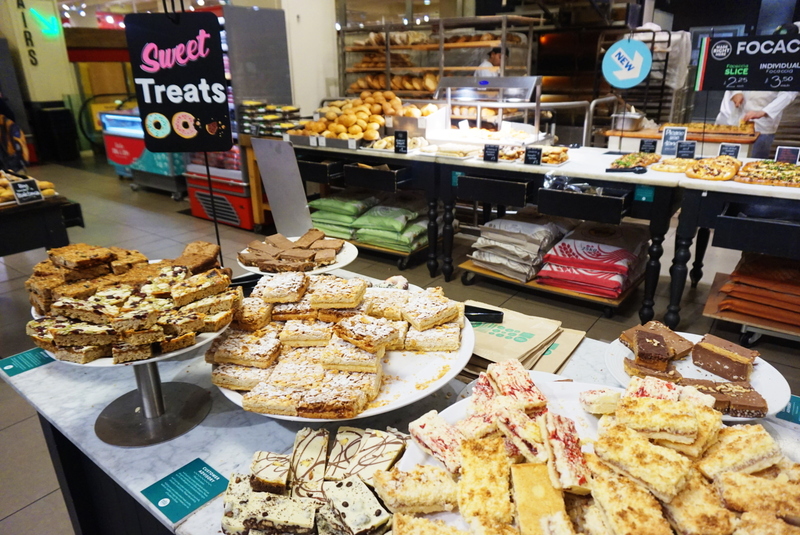 As expected, there are options for a bottomless brunch, as well as a selection sumptuous sides, cocktails and fresh juices to suit all. Bourne & Hollingsworth Garden Room offers its visitors breakfast, dinner, cocktails and of course, weekend brunch, open daily from 7am. Have you been to Bourne & Hollingsworth Garden Room yet? Which item would try from their brunch menu? Kensington is a bustling district in west London. 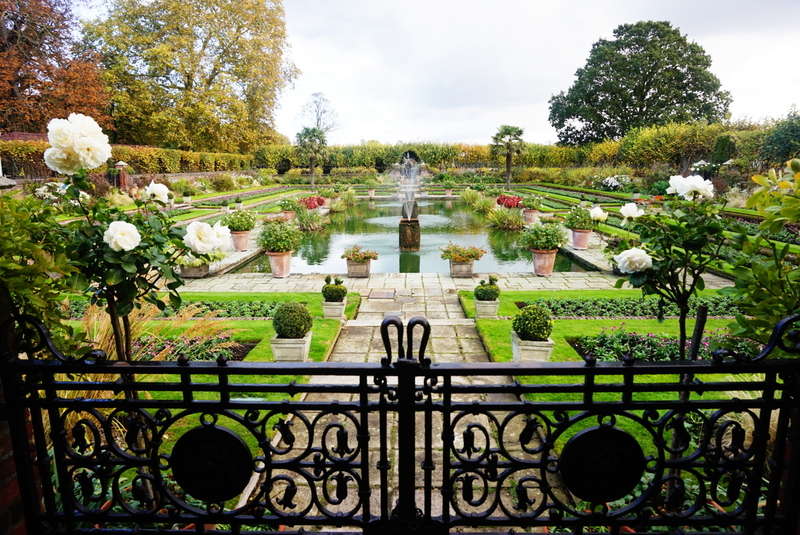 Renowned as an upmarket area, it hosts London’s most famed museums, two magnificent Royal Parks and diverse shopping. Read on to discover the best things to do in Kensington, London. 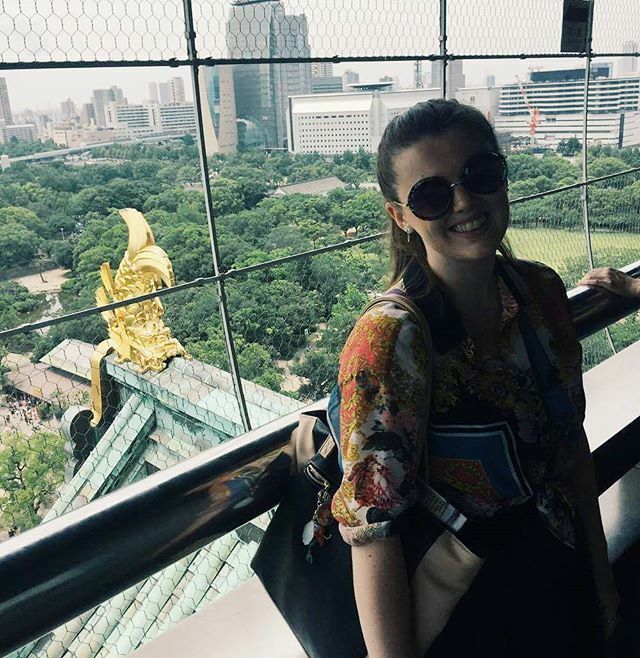 Of course, there are lots of fantastic sights and an abundance of hotels near Kensington, allowing visitors to easily access this cultural and glamorous area. 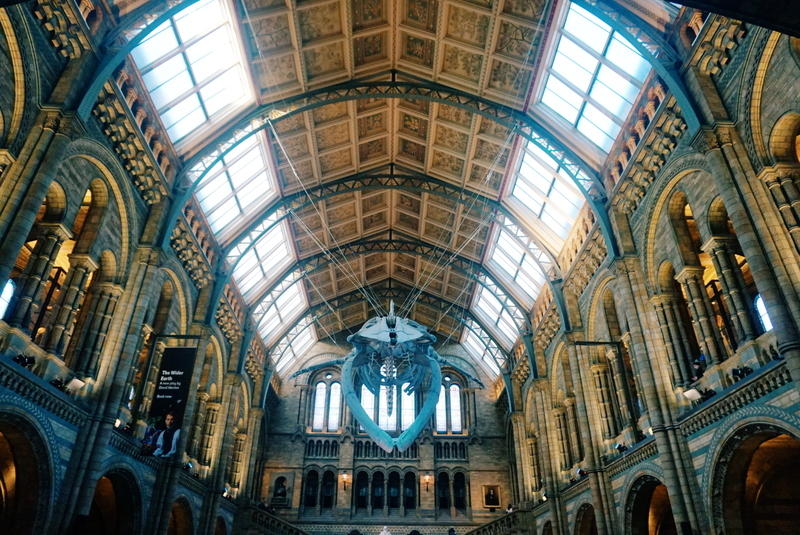 The first stop for many in Kensington is three of London’s largest museums. These include the Natural History Museum, Victoria & Albert Museum and Science Museum. 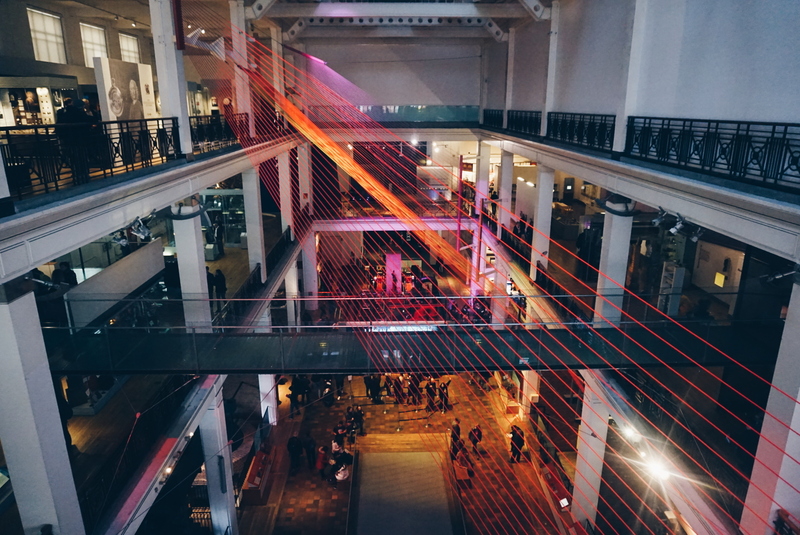 All of which offer free entry alongside a wealth of exciting exhibitions. 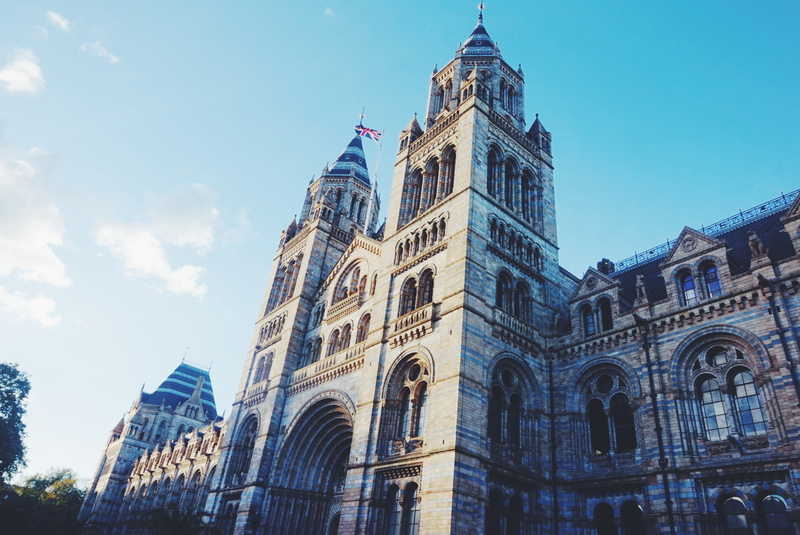 Renowned as one of the most precious collections of natural history specimens, the Natural History Museum is not to be missed. On entrance, be sure to say hello to Hope the blue whale skeleton who looms over the foyer. 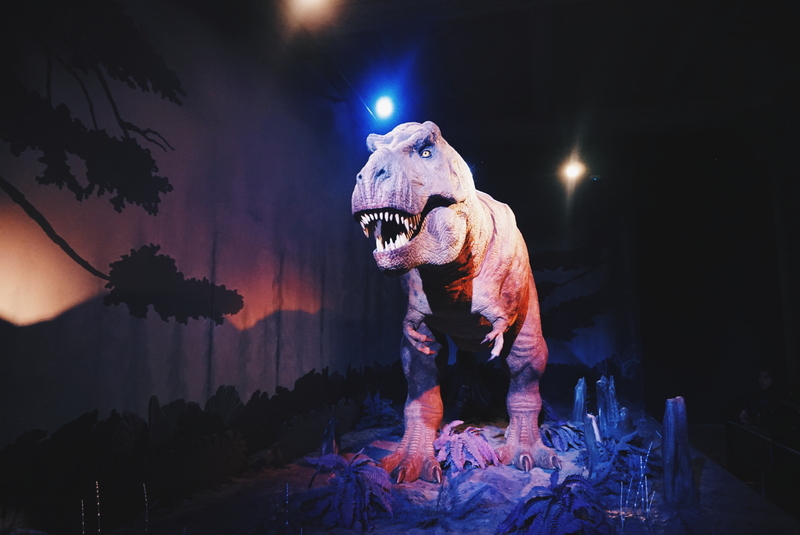 The museum is famed for its dinosaur collections, as well as other natural environment exhibitions. These include botany, entomology, mineralogy, palaeontology and zoology. In winter, the Natural History Museum also hosts an ice-rink and fairground rides. Next door, discover the Victoria & Albert Museum, celebrated as one of the world’s greatest art and design museums. Inside, discover 5,000 years of creative genius with an abundance of ancient and contemporary collections. 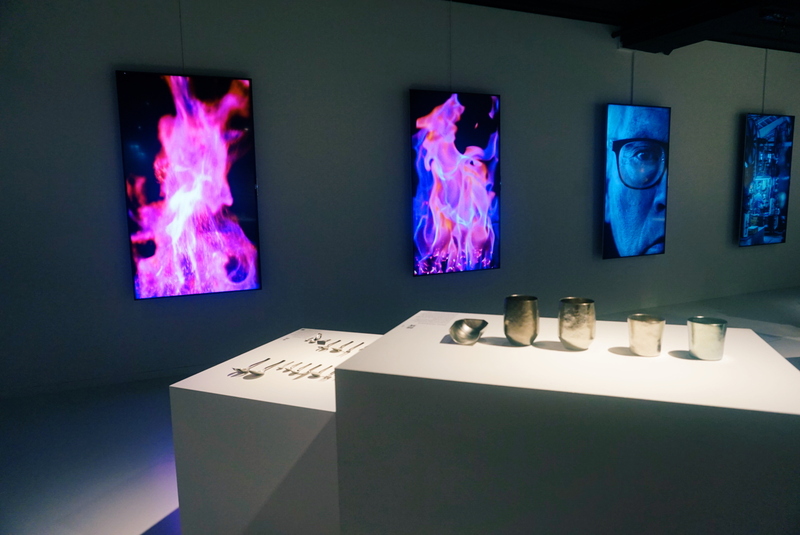 These include eclectic collections of architecture, art, ceramics, design, fashion, furniture, paintings, performance, photographs, sculpture, textiles and jewellery. 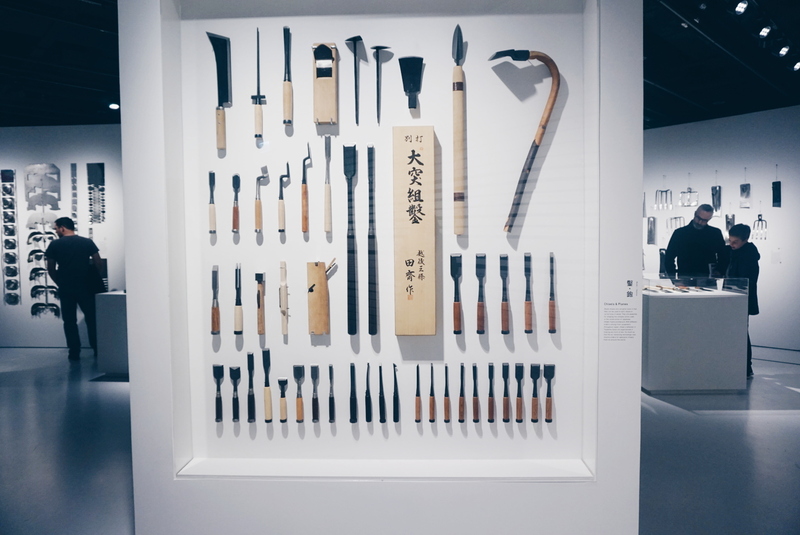 It’s certainly easy to spend a day getting lost within its astounding and varied exhibitions. 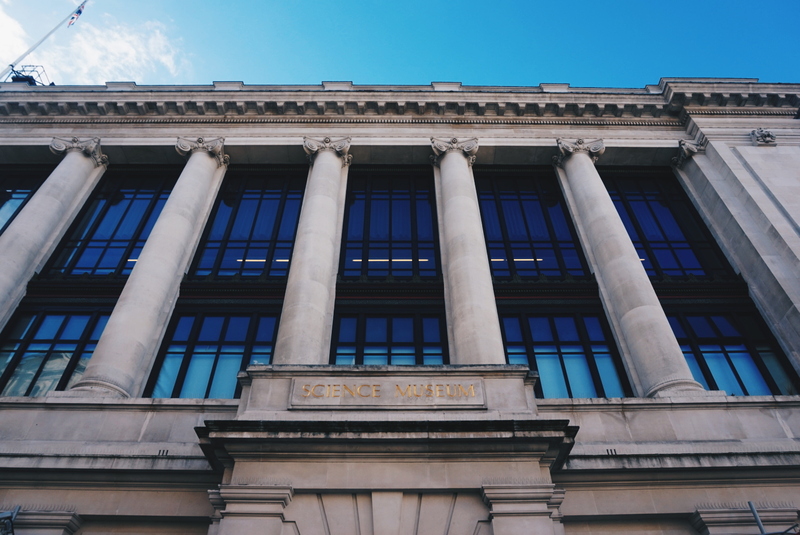 Adjacent, you will find the Science Museum. Here, you are welcome to learn more about the world around you with countless exhibitions and hands-on displays. 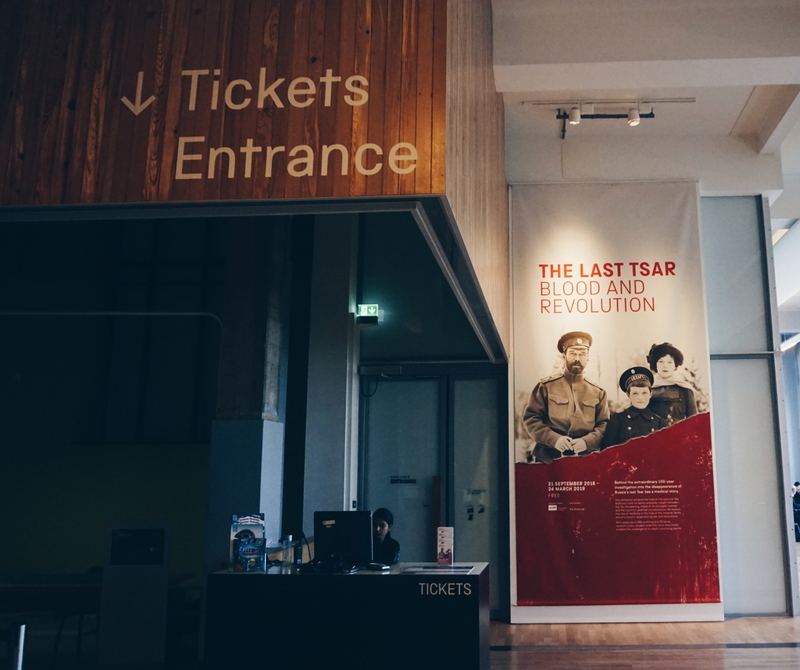 Quite often, the Science Museum will also host a collection of special temporary exhibitions. Currently on, The Last Tsar: Blood and Revolution provides an interesting insight into the Russian royal family and their secretive medical history. The interactive Fly 360° flight simulator ride also proves a popular paid attraction for adults and children alike. Have no fear though, museums aside, there is more fun to be had. 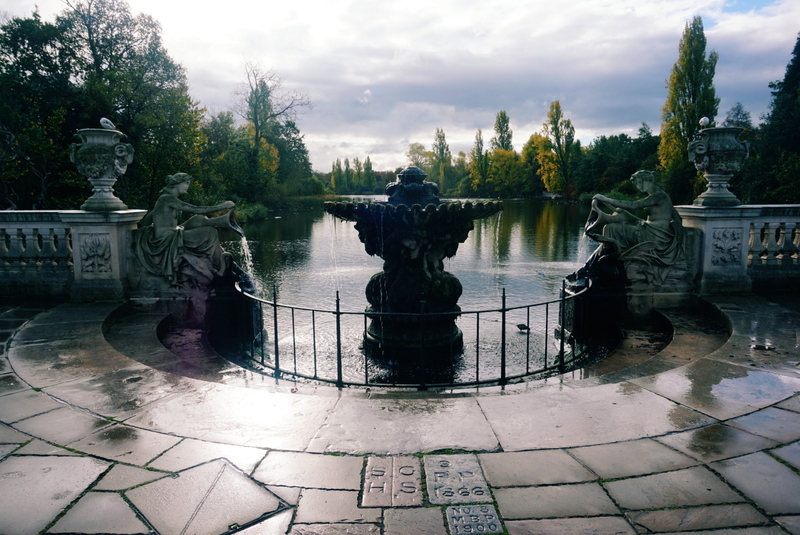 Kensington is lucky to feature not one, but two Royal Parks. Discover the connected Hyde Park and Kensington Gardens. These parks offer plenty of open green space to explore, be it for a summertime picnic or brisk winter walk. Firstly, take a stroll in Hyde Park, one of the world’s greatest city parks. Here you will stumble upon 350 acres of nature at its finest. Appreciate its beauty among trees, flowers and meadows, as well as an array of monuments. Stop for a moment by one of its lakeside refreshment points and enjoy views of The Serpentine. In summer, you may even opt to take a boat or pedalo out. From November onward, you can also visit Winter Wonderland. Here you can enjoy traditional German wooden huts, fairground rides and an outdoor ice rink to boot. You will also stumble upon a variety of monuments and memorials, such as the Achilles statue and the Joy of Life Fountain, to name a few. You may admire flora in the Rose Garden, take a moment at the Diana Memorial Fountain or listen to the voiced opinions of many each Sunday at Speakers Corner. Hyde Park has something for everyone, and offers year-round attractions and sporting fun. Connected, you will discover Kensington Gardens via the glorious Serpentine Bridge. 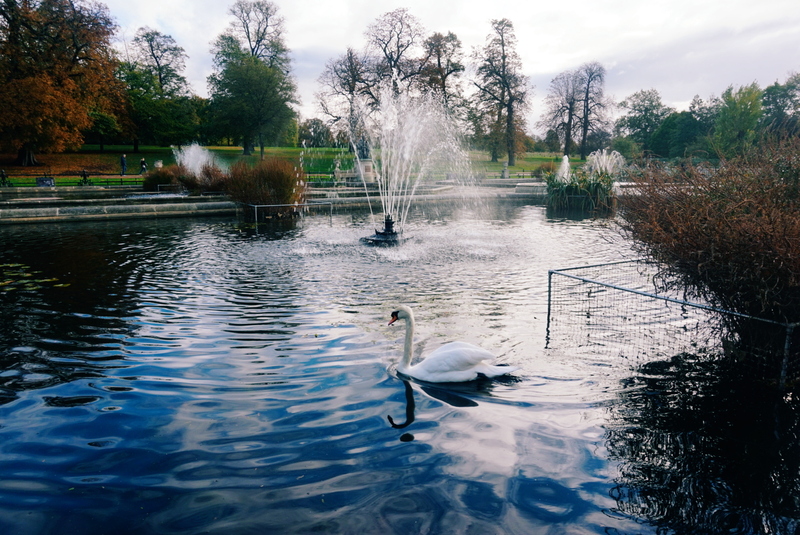 The gorgeous and graceful Kensington Gardens offers 265 acres of green space to wander. 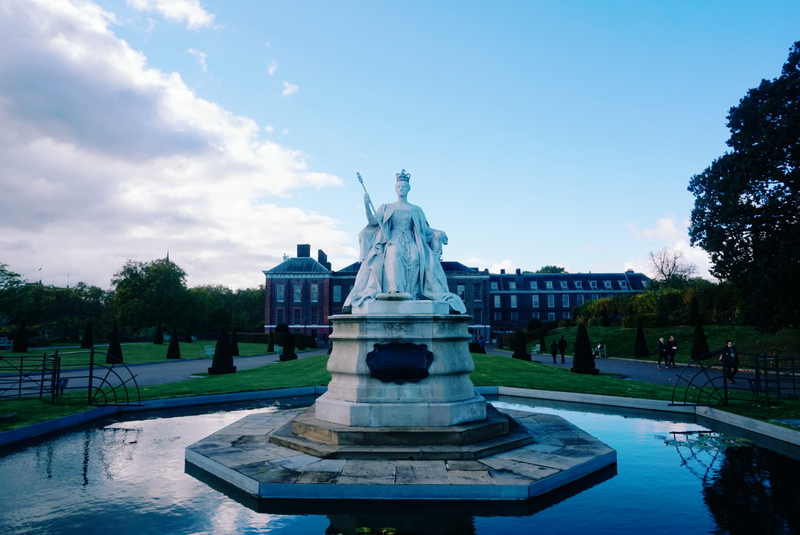 It is home to the celebrated Kensington Palace, the Albert Memorial, Serpentine Galleries, The Italian Gardens, The Allotment Garden, Peter Pan Statue, Elfin Oak and the treasured Diana Memorial Playground. 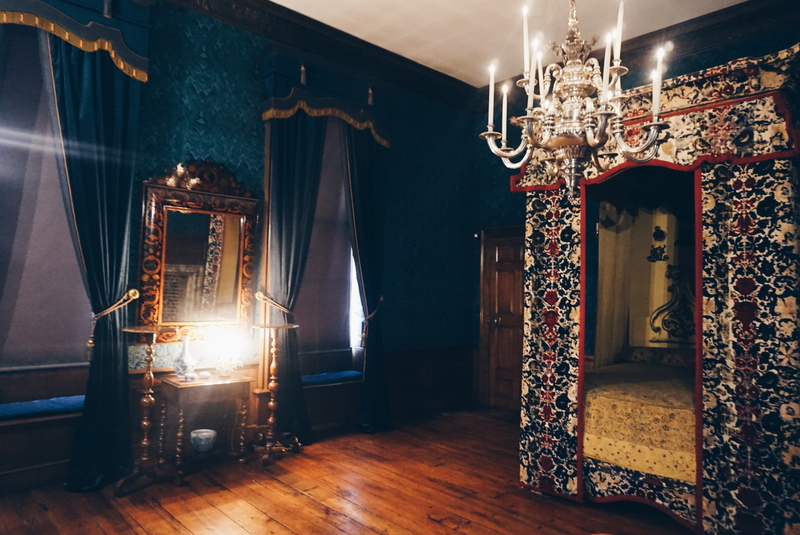 Kensington Palace is a particularly popular pastime for tourists and local residents alike. This lovely stately home is embellished with period furnishings, landscaped by gorgeous surrounding gardens. 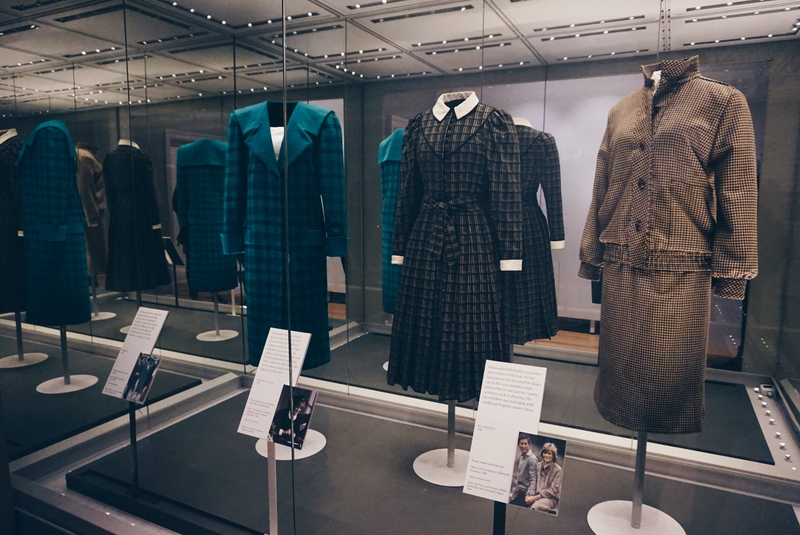 Inside, discover the State Apartments, Queen Victoria’s former living quarters and a special Diana exhibition, dedicated to the fashion and charitable work of the late Princess of Wales. It is currently the official London residence of the Duke and Duchess of Cambridge (Prince William and Kate Middleton). Afterwards, enjoy traditional afternoon tea in the Orangery before taking a stroll through the Sunken Garden, much loved by Diana. Culture and outdoor ventures aside, Kensington offers a spectacular selection of outlets for leisure and shopping. 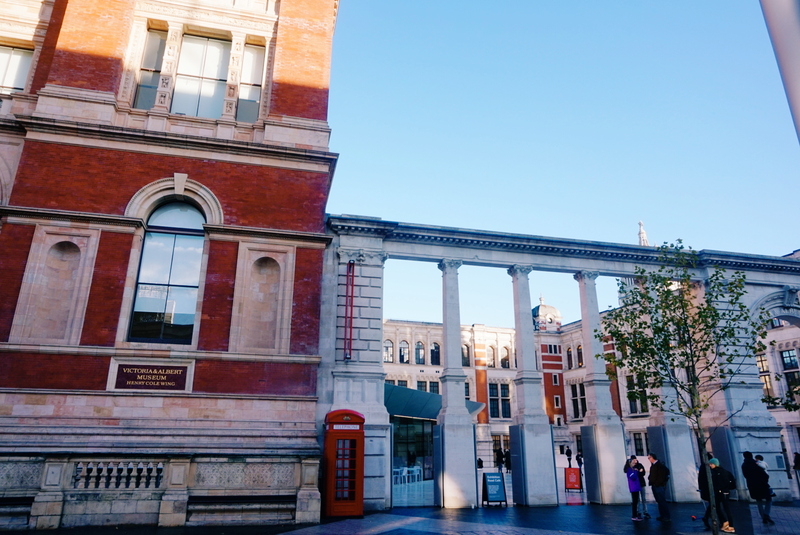 South Kensington is home to High Street Kensington, renowned for its impressive variety of independent shops, cafes, restaurants and galleries, as well as many a high street favourite. For antique finds, you will want to visit Kensington Church Street. You could certainly spend hours hunting around Kensington’s variety of fabulous shops. 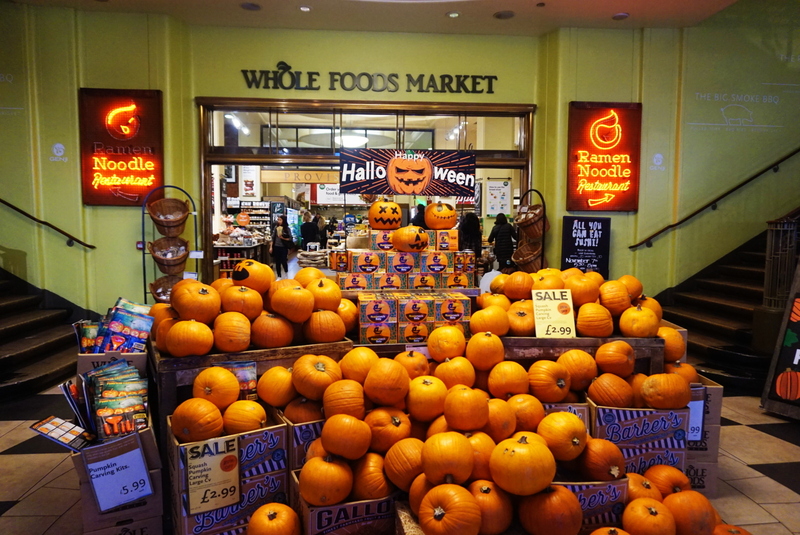 My personal favourites include Whole Foods Market, Urban Outfitters and Japan House London. 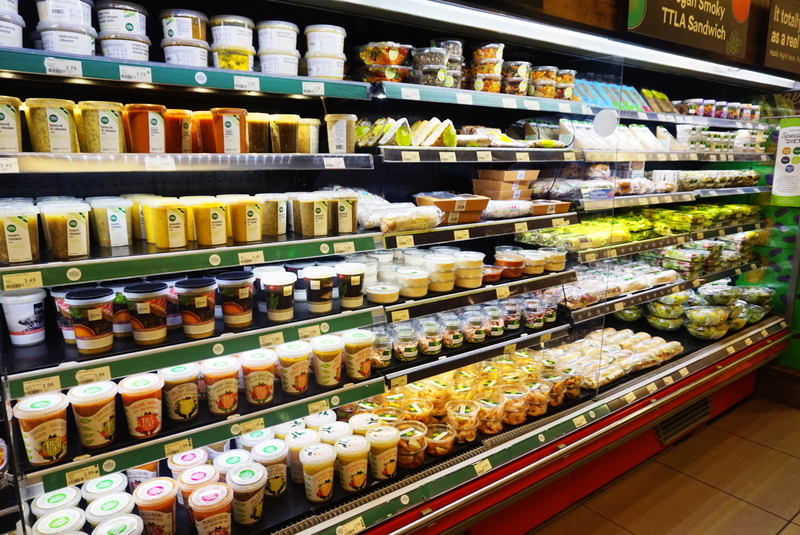 Be sure to stop for a quick lunch at Whole Foods Market, this gigantic organic food market is famed in the area. Next stop, the recently opened Japan House London. Surprisingly, contained within a three-floor art deco building, it features Japanese artwork, retail shopping and fine dining at the authentic Akira restaurant. 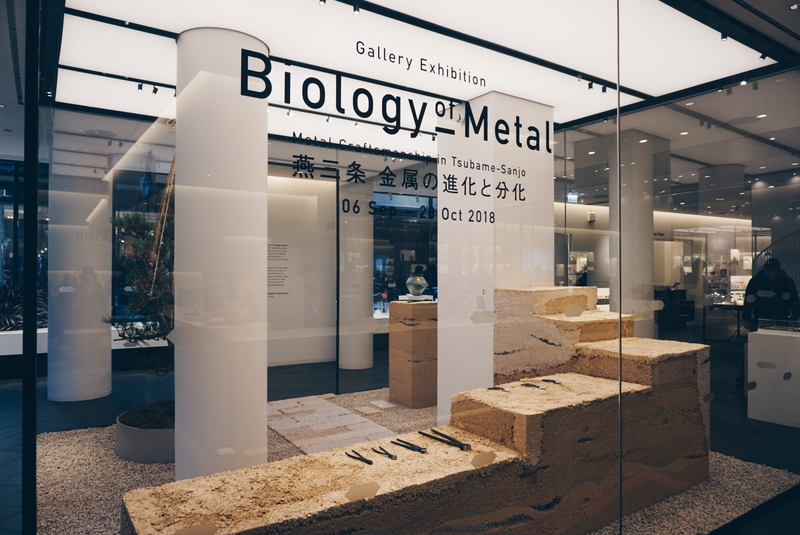 A fantastic experience for all, head downstairs to enjoy a fascinating biology of metal exhibition and become immersed in this cultural hot spot. Finally, the Royal Albert Hall offers a night to remember. This concert hall is home to many a classical offering. Surprisingly, this grand venue also hosts a diverse selection of gigs, dance, opera and sporting events on occasion. The Kensington area is especially accessible, served by the Central line at Queensway station and the Piccadilly, Circle and District line at South Kensington, as well as numerous buses. If you are looking to spend a weekend in London, Kensington is an area not to be missed! 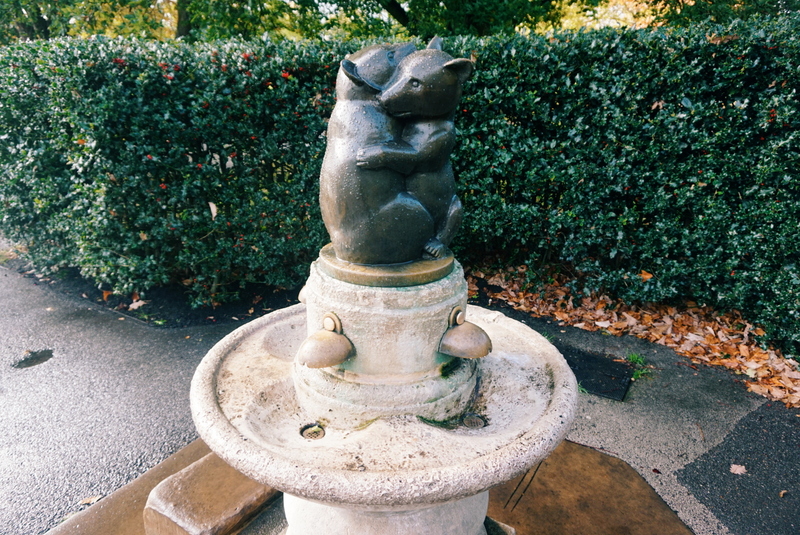 Have you ever explored Kensington in London? Where would you go first? If you haven’t been to Tonight Josephine yet, you are in for a treat. Based in Waterloo, this pretty-in-pink hot spot is probably one of the most Instagram-worthy bars in London. 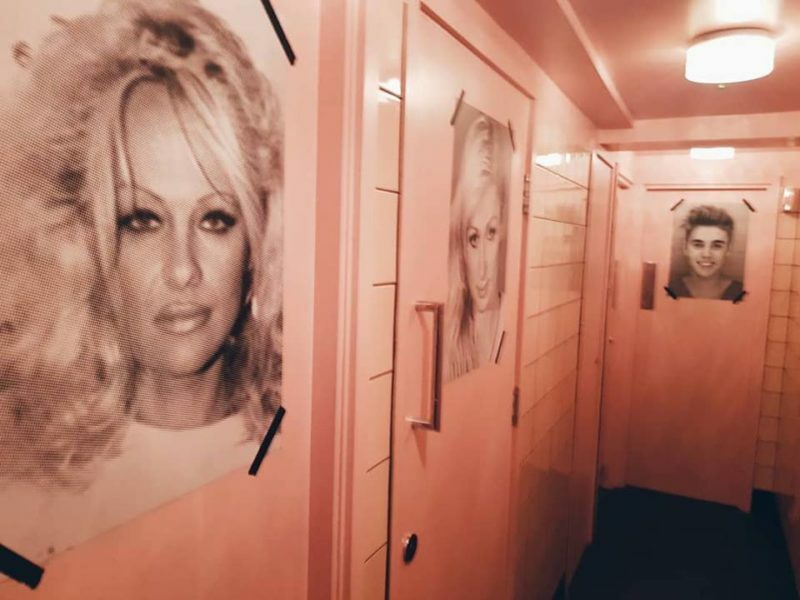 Adorned with a neon light feature wall on entrance and an interior embellished with iridescent streamer lined walls, mirrored ceilings, a floral ‘lady garden’ and mug shot decorated bathroom. This overtly girly bar serves quirky cocktails in an oh so cool environment. 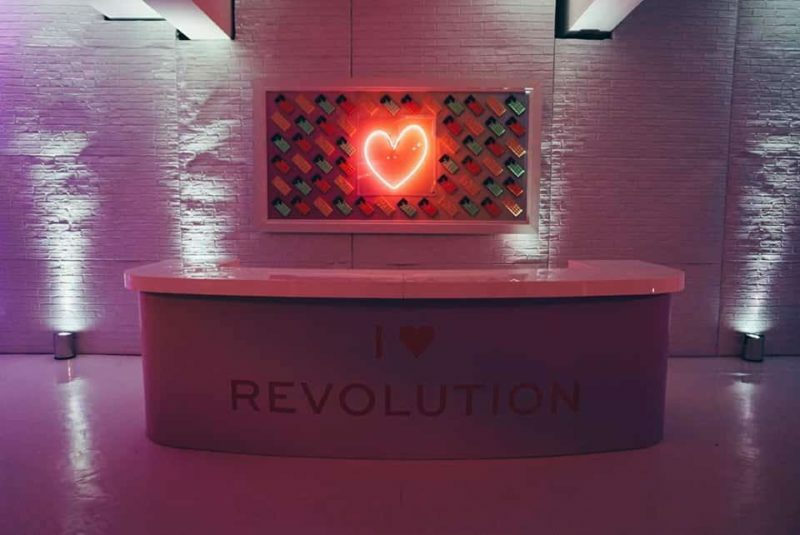 Every corner of the bar proves to be a photo opportunity and most will probably spend just as much time sipping cocktails as they will taking the perfect picture – it is simply a millennial girls dream come true. Tonight Josephine is certainly a lot of fun with its bright, bold and brilliant interior. The bar itself is quite small but this offers a degree of intimacy and exclusivity to boot I guess. So, what did I think of Tonight Josephine? Obviously, the décor and atmosphere is fabulous – it is marketed to be just so. Though despite the glamour, its nineties and noughties soundtrack and scented interior (yes, I said scented), you cannot help but feel a little cheated when it comes to drinks – no matter how good they taste. Unfortunately, my cocktail proved to be more ice than alcohol, free-poured swiftly before being garnished and passed across the bar. It certainly didn’t last long. 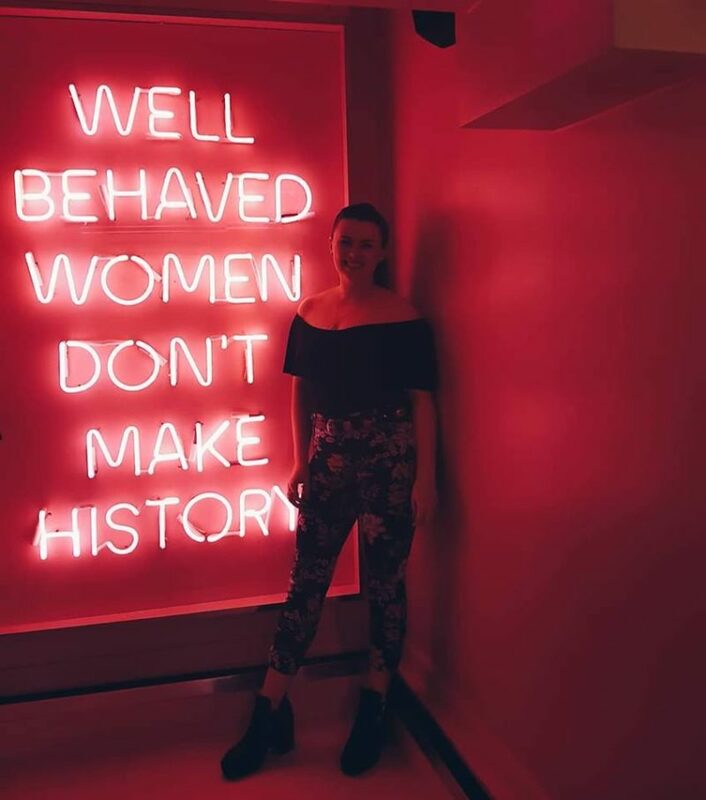 Despite this, a few hours at Tonight Josephine makes for a lovely evening and is certainly a fabulous place to stop by for drinks and snaps with the girls – just be sure to take advantage of the 2-4-1 happy hour! 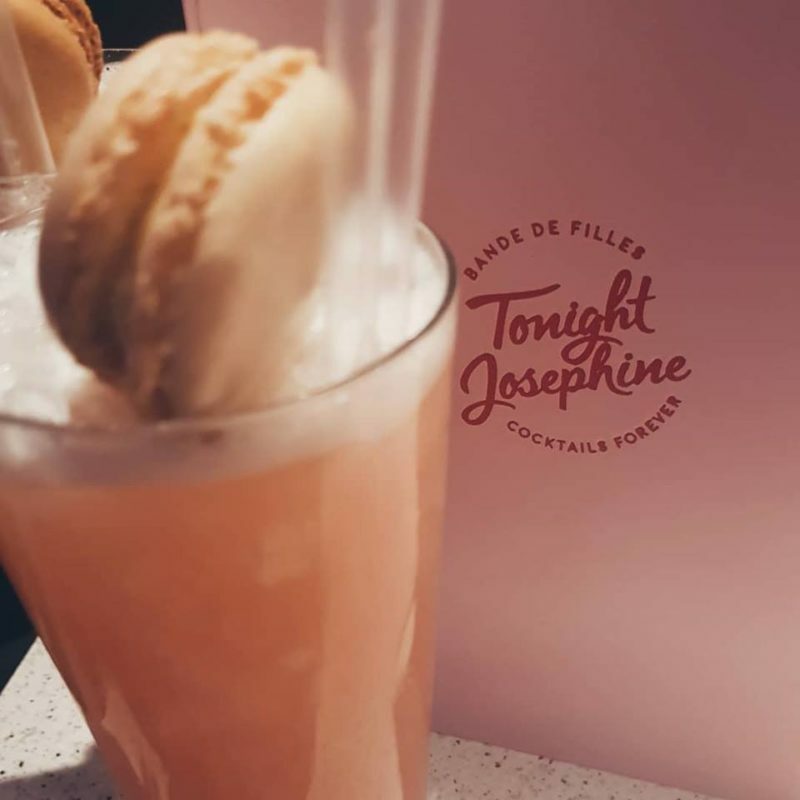 You can get a free cocktail when you sign up to the Tonight Josephine mailing list here. Have you been to Tonight Josephine yet? Which cocktail would be your go to? Last Thursday I had a very exciting evening indeed. 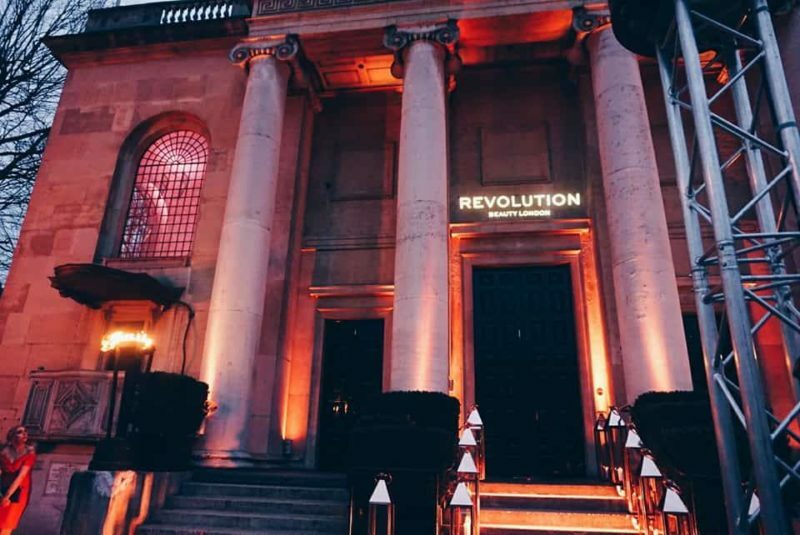 I attended the Makeup Revolution 4th birthday and launch of Revolution Beauty London (formerly Makeup Revolution) and their newest range. 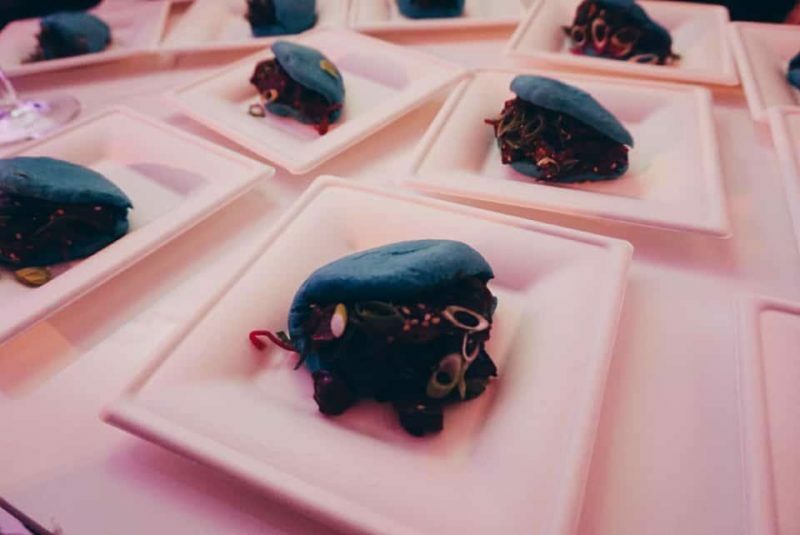 It was a fabulous affair, with hundreds of bloggers in attendance, beauty adorning every corner and delicious food and drinks. It was a night embellished with cocktails, chatter and fun. Plus, I got to meet some absolutely wonderful girls and guys in the process. So, what do I think of Revolution Pro? I simply cannot wait to make my way through the new collection and have already treated myself to the gorgeous Revolution Pro Regeneration Palette in Trends Celestial. Expect a mini-haul any day now! You can check out the Revolution Pro video here. 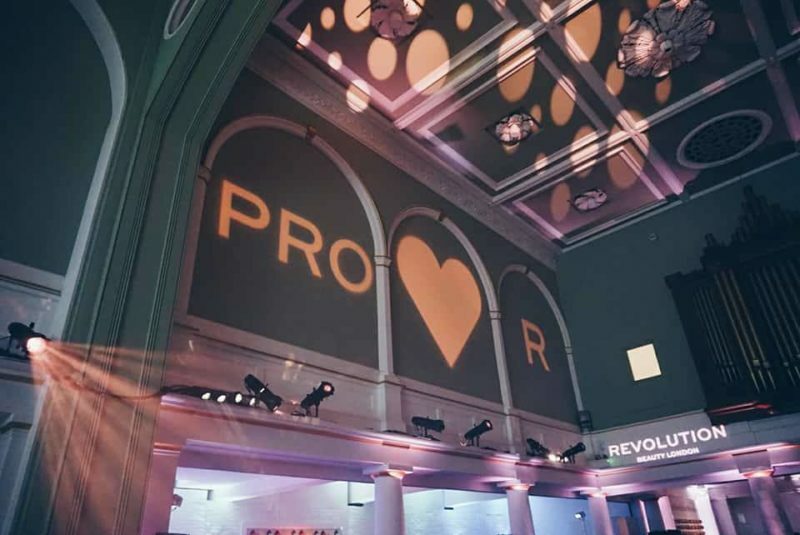 What do you think of Revolution Pro? Which items will you be snapping up? Let’s be honest, Forrest Gump is a classic. If you are yet to see it, you need to jump on the pop-culture train for an overload of 90s fun. 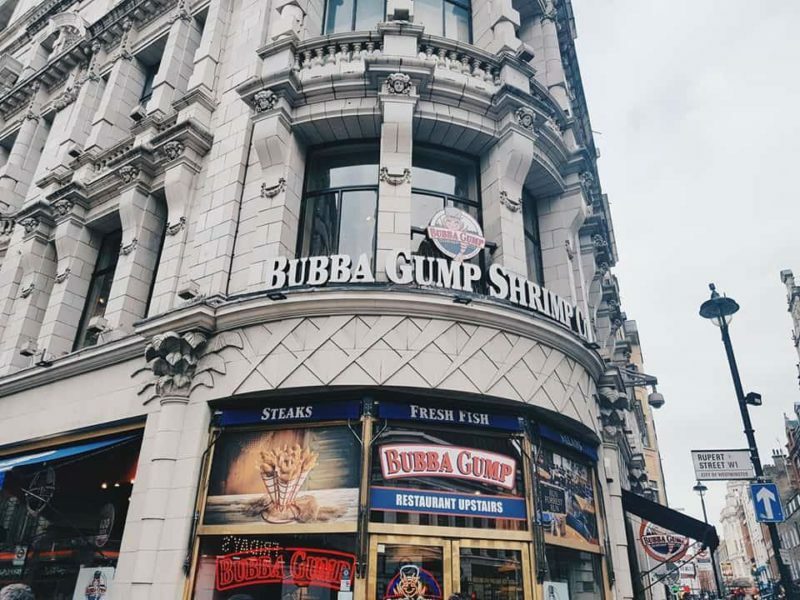 Bubba Gump Shrimp, London offers an American seafood extravaganza in a spectacularly Forrest-Gump-themed setting within central London. You could literally spend a good 15 minutes just wandering around looking at all the décor and there is even a shop onsite for the more die-hard fans. 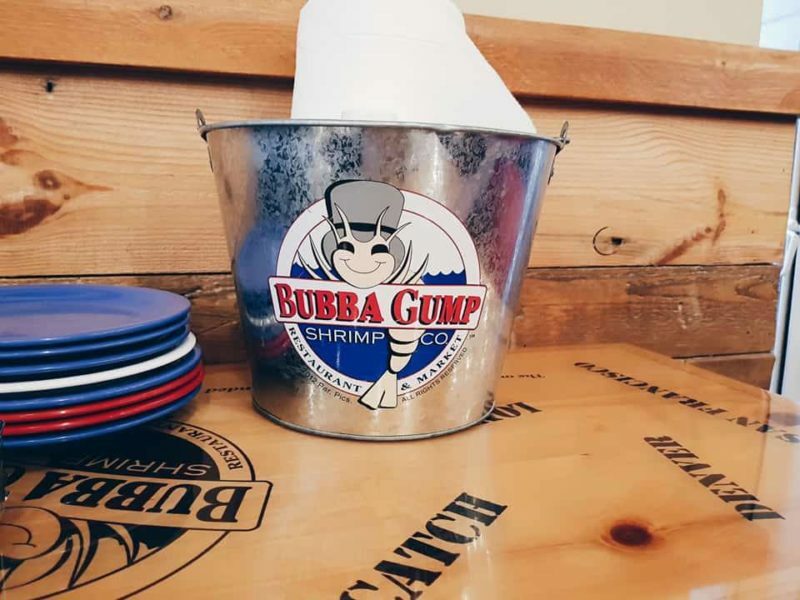 The Bubba Gump Shrimp Co. Restaurant is the first in the UK that is inspired by the 1994 hit. 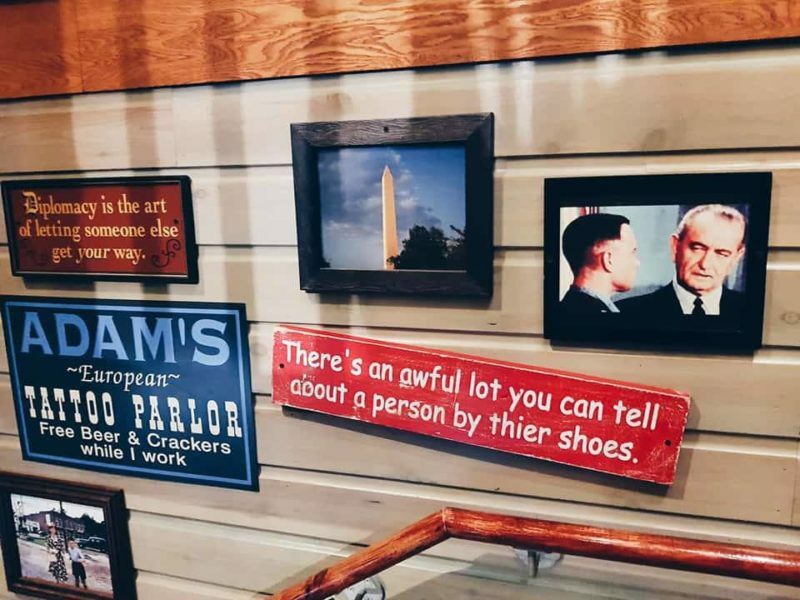 So, what did I think of the Bubba Gump Shrimp restaurant, London? The themes throughout the restaurant were pretty incredible, it’s worth a visit just for a gander at the walls alone. When it comes to the food, I was pleasantly surprised. Me not being a fish fan (the irony), went for what was probably the only chicken dish on the menu. I really didn’t expect much from the food, it was nice, fresh and flavoursome – but nothing to write home about. 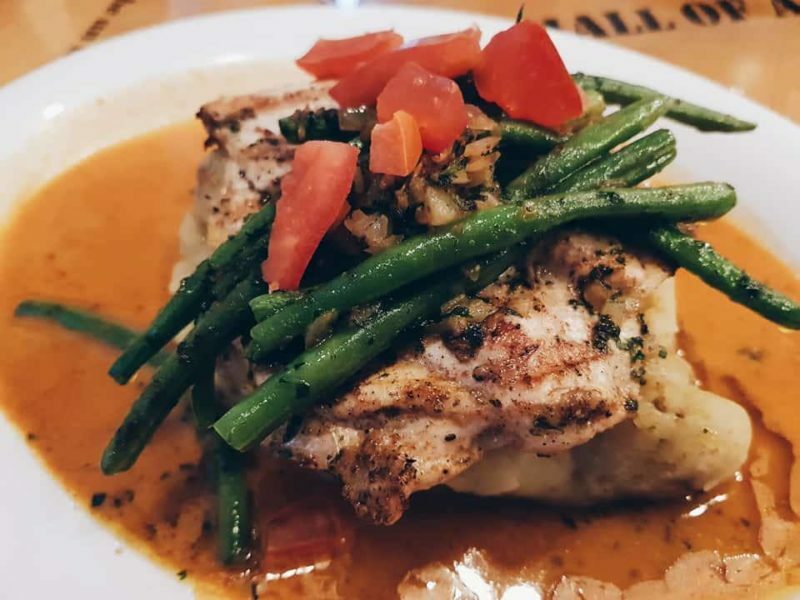 However, you don’t visit Bubba Gump Shrimp for the chicken, you visit for the fish. Luckily, my boyfriend, embraces a far more exciting palette and ordered the Forrest’s Seafood Feast. 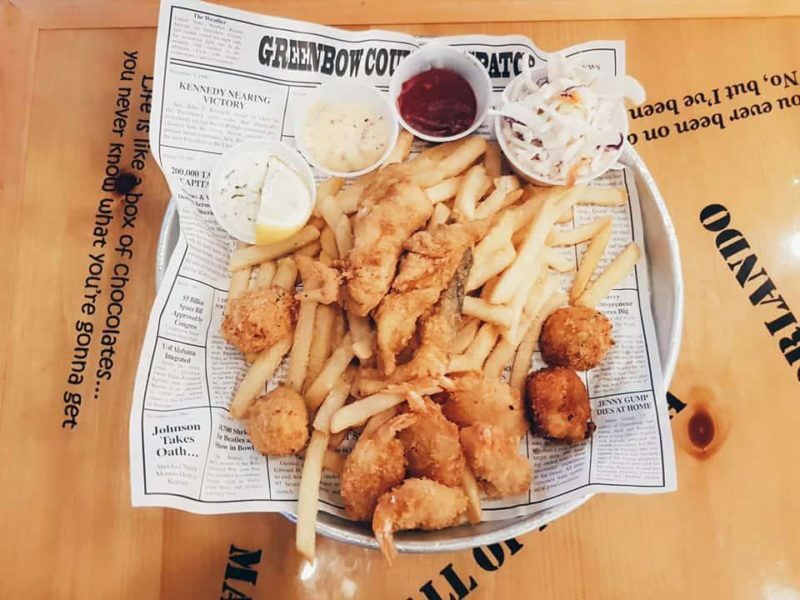 The dish was embellished with Southern fried shrimp, seafood hush pups and fish, atop a bed of fries and garnished with tartar, cocktail and remoulade sauces, as well as a side of coleslaw. It was a lovely experience although I wouldn’t say I’d be in a rush to return. Like all themed restaurant, its slightly expensive to eat there, the food isn’t spectacular and it quite often appears as a one trick pony. At over £50 for two mains, two cokes and a 12.5% service charge (I did not feel like it was warrented in all honesty), it is a little on the expensive side when you are looking at the quality of the meals. Do remember, “it’s all about shrimp” and if you are a fan of the Forrest Gump film, you will probably have quite the enjoyable evening. 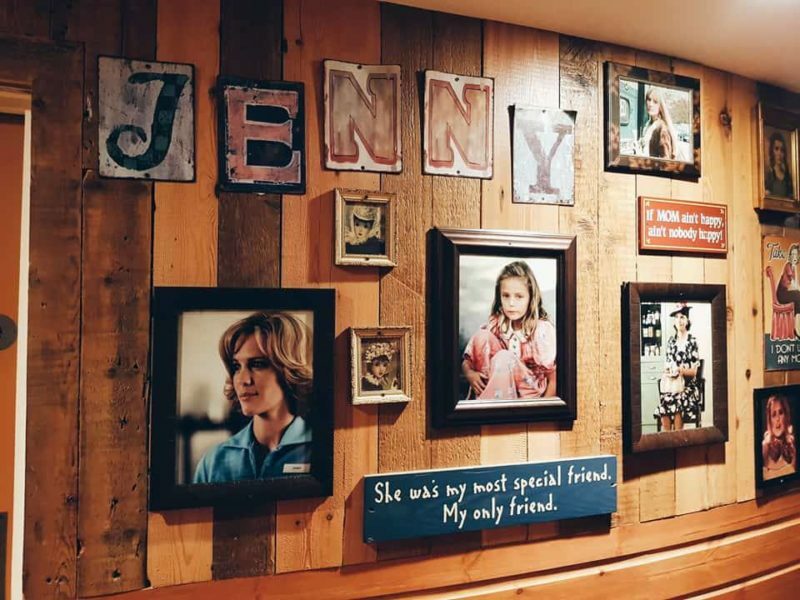 Have you been to the Bubba Gump Shrimp Restaurant in London? Which shrimp dish would you devour? Let’s face it, removing unwanted hair is the bane of most people’s day-to-day routines. It takes time and investment in the latest and greatest hair removal products on the market to keep those stubborn follicles at bay. Just imagine, if you never had to do it again? Laser hair removal treatment can offer that luxury. With time, hairs become sparser and sparser and ultimately you are left feeling a lot more silky smooth. Just a ten minute walk from Liverpool Street station, Pulse Light Clinic London offers laser hair removal treatments, with discounts when you book block treatments of 6 or 8 sessions. So, what do I think of laser hair removal treatment? Laser hair removal is a simple, effective and relatively painless treatment. It reduces unwanted hair on many women and men and thus makes your daytime routine all that more easier. It is also suitable for every skin tone and the wave lengths of the Gentle Max Pro laser are adjusted to suit individual needs. After an initial consultation and patch test, sessions can be taken to suit preferences. The average amount of sessions is often 8 within a year, with a few top ups following. You will have to wait between 4 to 8 weeks between sessions depending on the targeted area. Results are often seen after the first session and the entire process is swift and effective. The initial consultation and patch test is also completely free! Pulse Light Clinic London’s newest clinic is located close to Liverpool Street, they also have two additional clinics in London, one on Fenchurch Street and the other on Tottenham Court Road. You can contact them regarding their laser hair removal treatment and plans here. What do you think of laser hair removal treatment? Would you consider it?